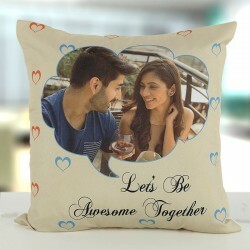 The idea of gifting a personalized cushions / Pillows has made a new wave in the world of gifting. 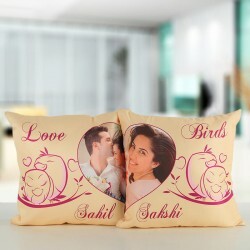 Gifting an object that has something on that induces memories adds more value to it. Be it a photo, a photo collage or a special message. 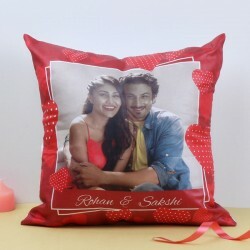 Send personalized cushions on Valentine's Day and tell your loved one how sweet they are! There’s no greater joy than being in love and being loved in return. Love gives you a feeling of contentment. No matter what you may face in life, if you have someone holding your hand by your side, you know you can sail against all odds. 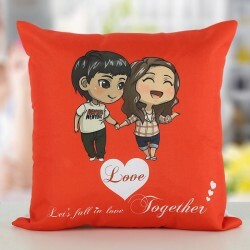 Make sure you not just feel happy and content in love but also let your significant other enjoy the feeling of love and comfort. Wonder what’s the best token of love for the same? 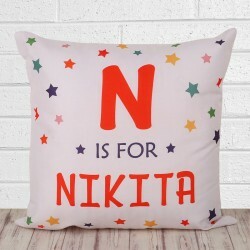 Gift Valentine personalised cushions to express your love and let them know you think as well as care about them. Gifting something that not only touches the heart but also remains useful is hard to think of. 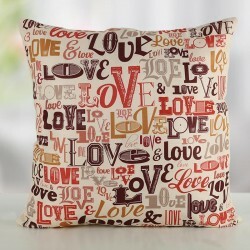 Cushions for Valentine’s Day for that matter are the best gifts to give. 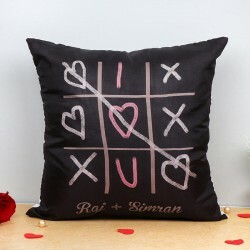 So, this love season, make your Valentine’s Day gift not just romantic but also functional. 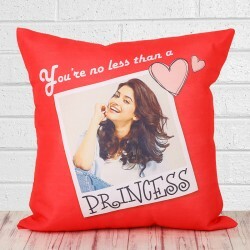 If you wish to gift personalised cushions for Valentine’s Day, MyFlowerTree is the one stop solution for all your gifting needs. 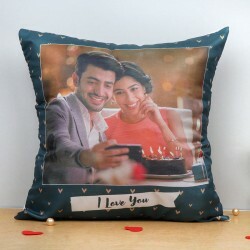 Choose from the wide array of love cushions online at our portal for Valentine’s Day and other occasions and let your loved ones gleam with joy. 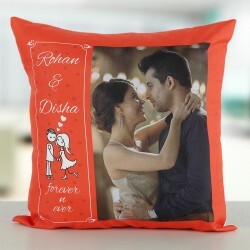 Our soft and plush range of customised Valentine cushions include Souvenir of Bond, Personalised Couple Cushion, Sri Man Sri Mati Cushion and so forth. 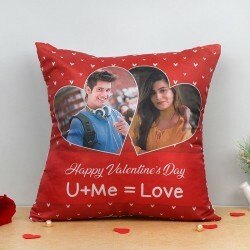 So, go on, choose from a variety of romantic and funny digitally designed Valentine cushions for making your Valentine gift a memorable one. 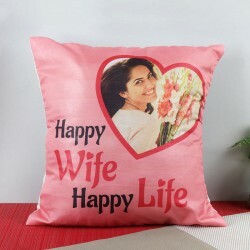 Now ordering Valentine gift for your dear ones has become hassle free. 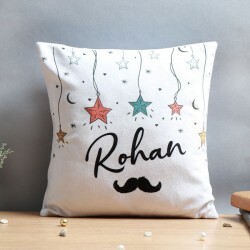 No need to wander from shop to shop and settle with limited option of gifts. 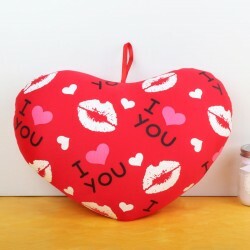 MyFlowerTree provides you with an umpteen number of choices for Valentine’s season. 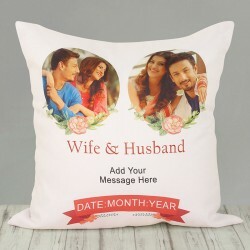 Just log on to our portal and make your pick for fast delivery of your Valentine’s love cushion to anywhere in India. Even if you living miles away from your dear ones, curb the distance with our doorstep delivery of gifts. 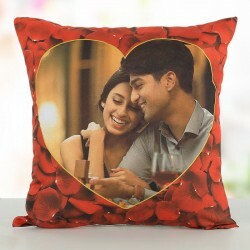 Save yourself from the hassle of finding a courier service as MyFlowerTree gives you an option of same day delivery of Valentine’s cushions and any other gift you want to gift to your loved ones. If you wish to go an extra mile and make it super special for them, opt for midnight delivery of gifts and make the moment magical. 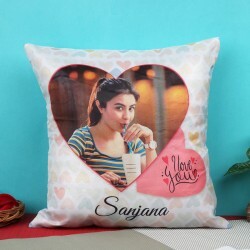 So, this Valentine’s season, delight your loved ones with love-filled personalised Valentine’s Day cushion from MyFlowerTree.